The first show in the student art gallery for spring is a little different. 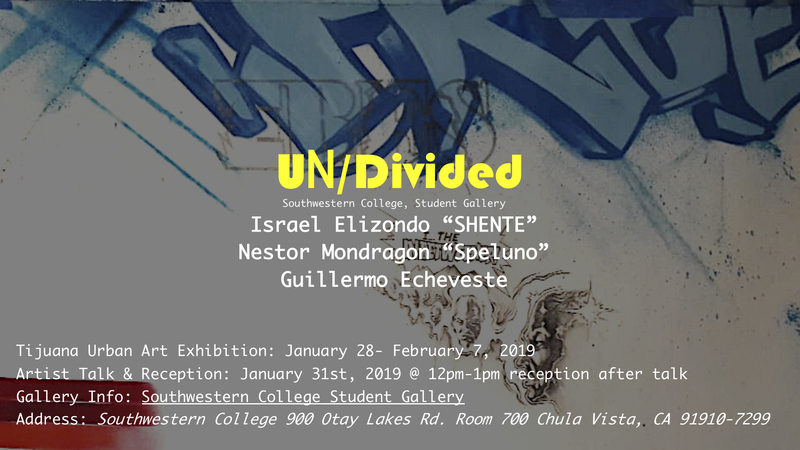 The 3 artists are giving a talk and presentation about their work on 1/31 from 12-1pm in room 704B. A reception will follow in front of the Student Art Gallery (Room 700). The show is called UNDIVIDED. Announcement attached. Please encourage both new and old students to attend. It is an exciting group of artists.